A team of experienced licensed guides but still enthusiastic like the very first day!!! Explore the city with us and learn about Rome narrated from a Roman. We’ll show the major sites but also the hidden gems of this city which is nearly 28 centuries old. Learn about the emperors and generals of the past, the daily life of the ancient Romans their habits and traditions, let us walk you from the medieval alleyways to the Mussolini boulevards, and take in some of the Roman flavours and colours. We are all licensed guides of Rome which means that we are all professionally trained and we passed an examination to obtain our badge of official guide in Rome and its province. We have been working with some of the leading tour operators on school groups, religious groups, incentives and personal tours. These days when you surf the net guides available are a dime and a dozen. So it is important to find someone who actually knows his job and avoid amateurs:since 1995 we’ve been doing this job full time. Our guides are flexible and have a thorough knowledge of English, each tour is geared towards the group. 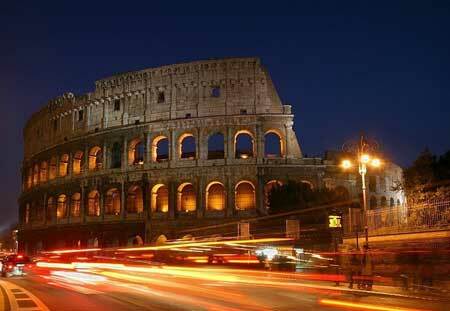 We have the drive and the energy to make your stay in Rome unforgettable!